Although technology has given way to many recent medical breakthroughs, it has yet to solve some serious patient safety issues. In fact, in some cases technology has rather created patient safety issues rather than correcting them, according to Becker’s Hospital Review. The following list depicts 10 of the most crucial patient errors physicians and patients alike need to be aware of in 2016. Medication errors are mistakes made along the timeline from when a clinician prescribes a medication to when the patient receives the medication -- either by error of omission or commission. From incorrect labeling to incorrect dosage and documentation, medication errors are one of the most common patient errors, according to PS Net. On average, there are roughly 700,000 emergency hospital visits each year resulting due to medication errors and among that, nearly 100,000 patients are hospitalized. Although clinicians and healthcare professionals are among the most trustworthy of people, they are still human, and unfortunately are not perfect. Most diagnostic errors are caused by clinicians who have subtle biases throughout a given thought process, according to PS Net. While these types of errors in judgement are not exactly a regularity, they have accounted for 6 to 17 percent of hospital adverse events and roughly 10 percent of patient deaths every year. Knowing exactly when to allow patients to return back to their homes after being hospitalized is definitely a grey area. On one hand, the patients want to get back to their day-to-day lives and families as soon as possible, but on the other hand, clinicians and healthcare professionals don’t want to be liable for issues that arise after discharging patients to post-acute home care. Unfortunately, 20 percent of patients experience an adverse health event within three weeks of being discharged. The worst part is that many of these adverse health experiences could have otherwise been prevented if they had only stayed hospitalized for a few more weeks. Healthcare institutions are working to correct this patient safety issue, but it is difficult because many patients are eager to be discharged back to their homes. Hospitals will be looking deeper into patient conditions and progress over 2016 and will be discharging patients with more accurate judgement. While healthcare professionals are focused on the health of their patients, they themselves are at risk as some healthcare institutions are poorly equipped with proper patient procedures. Deborah Grubbe, a healthcare consultant with DuPont Sustainable Solutions, said that healthcare providers need to focus more on making safer working conditions in medical institutions. She furthered that if healthcare professionals feel safe, then the patients will feel safer, making the entire environment more efficient and stable. The U.S. Department of Labor's Occupational Safety & Health Administration is focused on correcting this patient safety issue by updating information and strategies for healthcare workplace violence awareness and prevention. 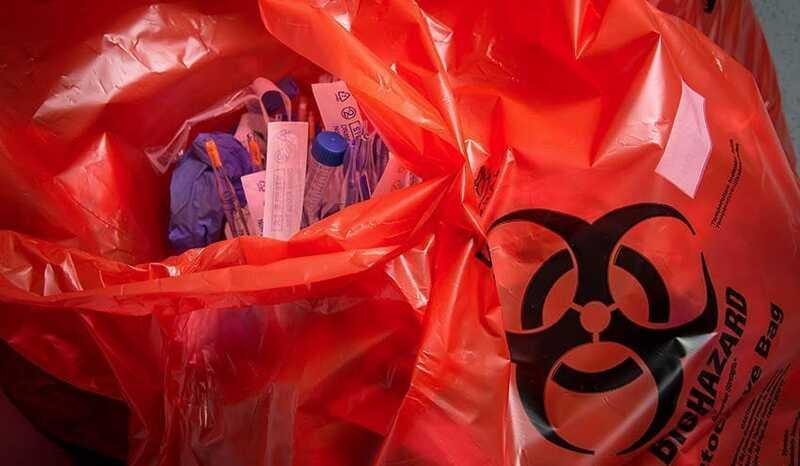 From needlestick injuries to injuries caused by lifting patients due to fear of being assaulted by a patient, healthcare authorities will be looking to make the workplace a safer and more comfortable environment over the course of 2016. Building structure or maintenance problems have created patient safety issues for decades and 2016 is no different. In April of last year, Florida Agency for Healthcare Administration released a report depicting major institution flaws with a hospital’s sewage upkeep. The hospital in Florida completely failed to ensure a proper functioning sewage system, which led to a leak and an infection control risk. This report is one of many. Several healthcare institutions are lacking responsible facility upkeep and over the course of this year, many healthcare institutions will be updating maintenance management and will be logging their facility’s structure more carefully. According to Brian K. Coombes, PhD, of McMaster University in Ontario, superbugs are strains of bacteria that cannot be treated by two or more antibiotics and while these bacteria were strong before, reports are now indicating that superbugs are becoming even stronger after resisting the powerful antibiotics. Scientists are calling them the “phantom menace” of bacteria, as researchers are now finding certain strains in pigs, broiler chickens and humans that are resistant to all forms of antibiotics. Clinicians are taking steps to boosting focus on antibiotic stewardship to prevent the spread of the superbugs to surrounding organisms, but this is a problem that needs constant attention as the spread of a single virus containing a super superbug could have a catastrophic effect on the entire planet. All clinicians should use caution and careful judgement before prescribing antibiotics, as antibiotic resistance is becoming more prevalent as a result of antibiotic overprescription. Healthcare institutions are partnering with patients and their families to help combat these patient safety issues as they continue to take a toll on patients across the country. Hospitals are also fostering partnerships with healthcare providers to better create solutions that will establish efficient types of procedures and practices.